'I had been married three years when I fell in love,' begins Kate, a firecracker of a woman who thought she'd found the yin to her yang in Cary, her sensible and adoring husband. For their friend Luke-a charismatic copywriter who loves women and attention in equal measure, and preferably together-life has been more than sweet beside Cressida, the dutiful pediatric oncologist who stole his heart. But when a whimsical flirtation between Kate and Luke turns into something far more dangerous, the foursome will be irrevocably intertwined by more than just their shared history. 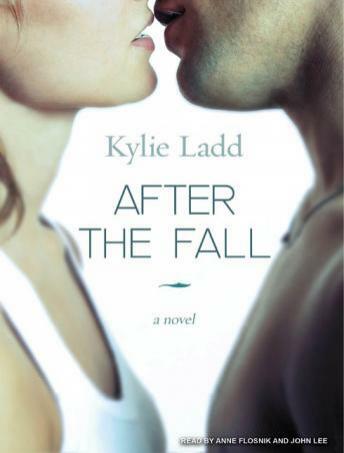 After the Fall follows the origin and fallout of the most passionate of affairs through the eyes of all four characters, unveiling the misunderstandings and unspoken needs that lie beneath our search for love and connection. The narrative moves effortlessly between past and present, painting a nostalgic picture of the two marriages at their most idealistic-the exact moment when like turned to love-and at their most volatile. Thanks to the boundless compassion with which Ladd draws her characters, one can't help but root for them as they wrestle between newfound desire and remembrances of time past, all the while spinning toward an inevitable conclusion. Overall the book was enjoyable, but the most disappointing part was it took me at least two hours to finally get all the characters straight. There are four main characters and then they had points of view from two other characters that were pretty irrelevant. This might be a better book to read rather than listen to.